Interior finish options, add your personal touch. As an option, a choice of 5 laminate floor colours, all 7mm thick with great durability and wear-ability. Laminate flooring complements most garden room interiors, with a manufacturer's 15-year residential warranty. All laminate flooring packages come complete with foam underlay and white bullnose skirting throughout. Exclude this option if you wish to fit alternative flooring. Included as standard is a full plasterboard and skim finish to all the internal walls and ceilings. No melamine! This helps with acoustic performance as well as providing a quality residential feel. Matt white paint finish throughout. Use as either a completed paint finish or use as a base coat to add your own colour. You can excluding this option if you want to finish with an alternative colour, with wallpaper or alternatives. 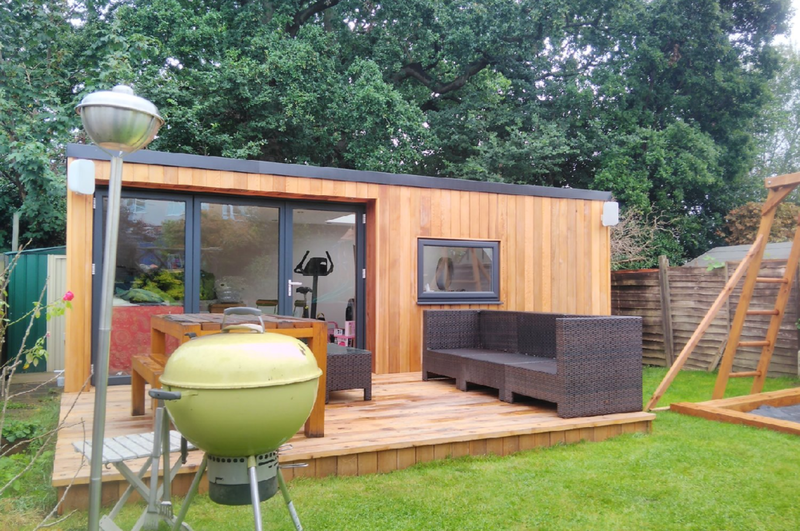 A front to rear internal dividing wall is an option to split your garden room into two distinct spaces. Added together with an additional external door two independent spaces are created. 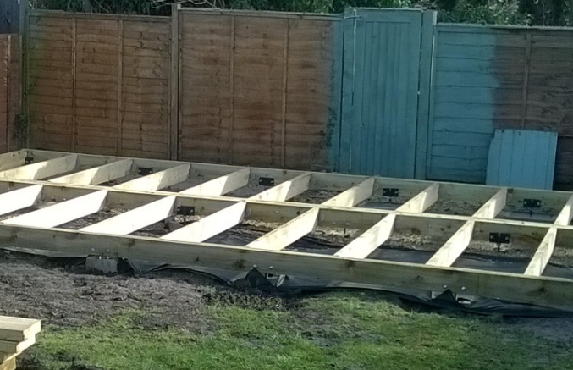 If one of the areas is to be used as a store or workshop, this area is finished with OSB3 sheeting, or alternatively, it can be finished to match the rest of your garden room.